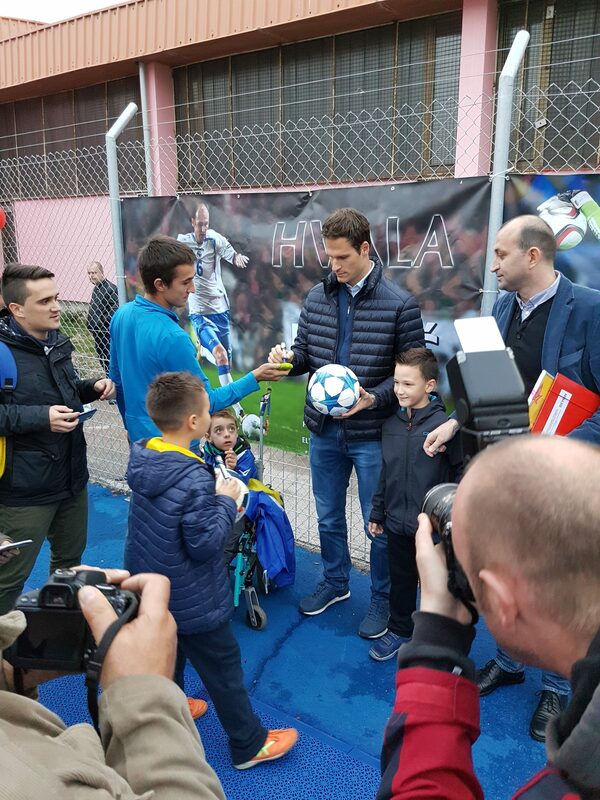 Earlier in 2016 the Asmir Begovic Foundation made a donation to the School for Children with Special Needs in Tuzla, northeastern Bosnia. 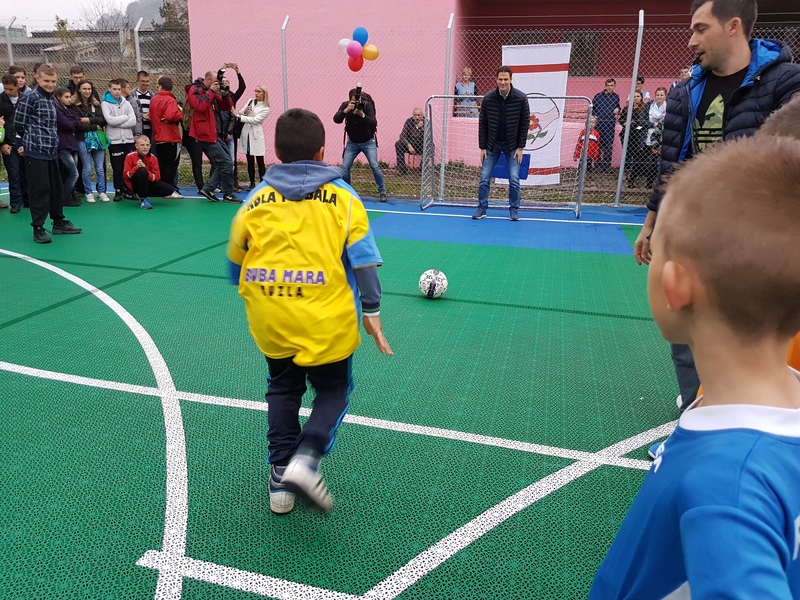 We identified a need to help them renovate their multi-sports pitch and everyone is thrilled with the end result. Asmir joined forces with his former teammate Elvir Rahimić and together, they helped the whole area get a fresh look. 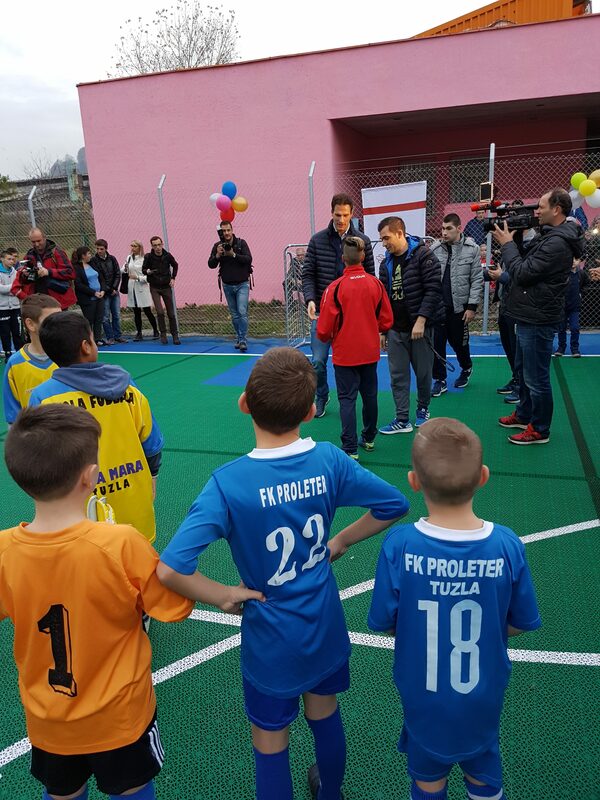 Asmir paid a visit to the school in November, officially opening the new pitch and spending time with the wonderful kids and staff at the School for Children with Special Needs Tuzla.